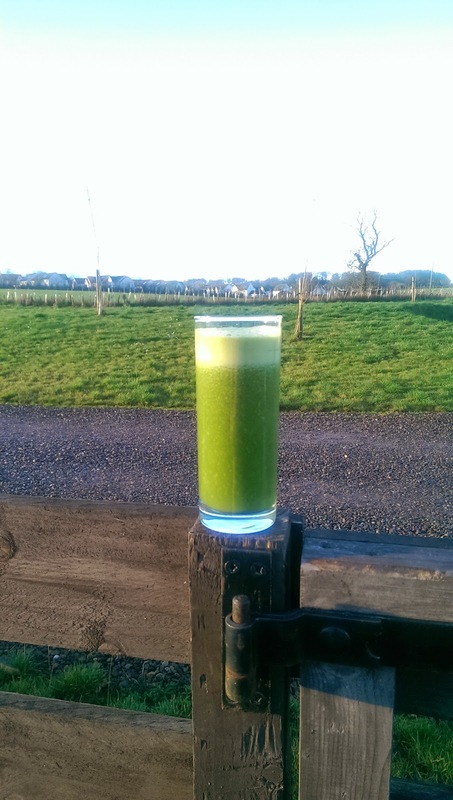 One of my favourite juices to make to properly give me a burst of vitality is my green “swamp” juice. I will be honest and say that my ingredients are never exact, mainly because some days I fancy more of one ingredient and it also depends what we have in the fridge. I have found the colour of this juice has become so much more green since I started to use my JR8000 juicer by Juicy Retreats. I also sometimes add in a super food powder like the 100% Organic Soul Food Greens by Viridian which has Chlorella, Wheatgrass, Alfalfa leaf, Spirulina, Barleygrass and Seaweed. It is super easy to mix in as well and tastes a load better than I ever expected it to. Is this the best green juice? According to one healthy friend it is. I will let you decide. This is one juice I get asked the most about and I would love to know what your favourite green juice is. Previous Post Is this the best Juicer?